Everyone loves a cover song. My social networks were filled all last weekend with people posting links to Bruce Springsteen covering “Royals” and “Stayin’ Alive” while on tour in Australia and New Zealand. The idea of seeing someone like Springsteen doing live versions of songs so outside his traditional wheelhouse has a ton of appeal, and the YouTube clicks piled up. Everyone hates a cover song. Especially when it’s Bob Dylan doing the cover version. Self Portrait, as I have mentioned over the past several days, has four types of songs: live versions of earlier recordings; Dylan versions of established traditional songs; new compositions; and, Dylan’s version of contemporary pop songs. It’s this last group that makes Self Portrait such a despised album. Dylan had been doing covers for a while. A Tree With Roots has quite a number of them, from “People Get Ready” to “Folsom Prison Blues”. It’s not surprising – these are the types of things that musicians do when they’re hanging out, when they’re jamming, when they’re testing the sound set-up of a recording studio. It’s fun. But no one seemed to find the covers on Self Portrait fun, except, just maybe, Dylan himself. While Self Portrait isn’t nearly as bad as its harshest detractors say that it is, it is clearly the worst thing that Dylan has released up to this point in time. It’s often sloppy, there are no exemplary songs, and some of it is just plain loopy. The pop covers are, generally, the worst part of the whole album. I’ve come to agree one hundred per cent with the theory that this was Dylan’s attempt to meet the bootleggers head on. First, it is absolutely clear that Dylan hates bootlegging. You’ll have noticed that I often do not link to an album version of Dylan’s songs when I am writing about them. That’s because he and his record company seem to always have them pulled from YouTube, even though there are ways to monetize that exposure now. If he won’t have things on YouTube, where he can earn money from it, imagine how much he dislikes the actual bootlegs. He’s always been clear on that front. The success of Great White Wonder must have been a mystery and an annoyance to him. In interviews from the period he has expressed his disdain for people releasing material that he would not have released himself, and he has wondered why people wanted work that he considered unfinished. Self Portrait has that feel – not just in the duplication of songs and in the selections from the Isle of Wight – but in the overall tone of “Dylan rehearsing, and playing around”. It doesn’t sound like a serious album. 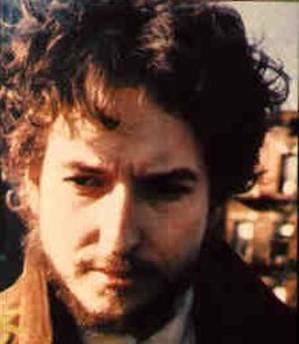 Indeed, it is virtually impossible to imagine that Dylan or anyone at Columbia thought his version of Simon and Garfunkel’s “The Boxer” was a good recording. It is, by any professional measure, awful. But it is the type of thing that would have been bootlegged, so Dylan bootlegged it himself. This is the only way that I can make sense of Self Portrait as an album. There are individual tracks that make sense to me, but the whole package only works in comparison to hotel room recordings. Seen from that angle, it’s sometimes better than that material. Seen as a well thought out album – it’s inconceivable. Given the fact that the earliest songs on this album were recorded almost a year before the later ones (the sessions were in April and May 1969 and then again in March 1970), and given the fact that the 1969 tracks included the pop covers “I Forgot More Than You’ll Ever Know”, “Let It Be Me”, “Take a Message to Mary”, and “Blue Moon” (plus “Ring of Fire” and “Folsom Prison Blues”, which haven’t been commercially released even after Another Self Portrait), it seems believable that Dylan released this material simply because it seemed that if he didn’t someone else would. To my ears, virtually every pop cover is dispensable, with the possible exception of “Copper Kettle” and “Take a Message to Mary”. The version of “Copper Kettle” without the overdubs on Another Self Portrait is actually pretty great – they definitely should not have missed with that. That one is absolutely a keeper. The lowlight is a toss-up. Dylan’s version of “Blue Moon” is probably the single song that, more than anything else, doomed this album. Such a square song, and so artlessly done. But for me the worst offender has to be “The Boxer”. The fact that this was released on an album from a major recording company is pretty astonishing. I’m not sure who is singing with Dylan on this – the session information at bjorner.com doesn’t say, although it indicates only that on 3 March 1970 the only two people in the studio with him were David Bromberg and Al Kooper. I don’t know their voices well enough to venture a guess. Whichever it was, he didn’t know the words to this song and he sings along just slightly behind Dylan. This is the same way I sing along in my car – you know, where you fill in what you don’t know by mumbling and then belting out the parts that you do know. This is the most lost version of this song you can possibly imagine, and had it been unearthed as a bizarre curiosity on one of the Bootleg Series albums it would be heard a few times and forgotten. On a serious release, though? You can’t be serious. So, to sum up, Self Portrait: Not as absolutely awful as some people say it is, but I still feel a bit like I may have wasted four days thinking about it. “Alberta #2” and “Days of 49” and “Copper Kettle” are all not terrible, but that’s about the best that I can say about it. Oh, and I don’t care who knows it: I like “All the Tired Horses” too. Tomorrow I’m diving into New Morning, Dylan’s comeback from his first bad album. See, toldja–“All the Tired Horses.” Otherwise, the first passive-aggressive concept album. Part of an ill-conceived campaign to learn how to sing “better” by using other folks’ songs as workouts?